From 24th July 2016 the A349, Gravel Hill, will be closed for 4 months between the Queen Anne Drive junction & Arrowsmith Road junction. Below is a description of the works. improving traffic flows around the junctions. In addition we will make some improvements for pedestrians and cyclists in the area. When will the works start and finish? A total closure of Gravel Hill (A349) will take place from 10pm Sunday 24 July 2016 for 4 months. This will allow the work to stabilise the embankment and carry out improvements to Queen Anne Drive junction. It was originally anticipated the road would be closed entirely for a period of up to 6 months however, we have been working with a contractor to help devise a work programme to maximise efficiency and minimise disruption to Gravel Hill. Tender documents were issued in May and the contract for the work will be awarded in June 2016. The primary reason for the work is to stabilise the embankment at Gravel Hill, which is at risk of failing. There have been a number of failures over the years, the most recent a few years ago after a tree fell down. We are constantly assessing the embankment to ensure its safety but, as the main link from the A31 trunk road to the Port of Poole and Poole Town Centre, we cannot afford for this route to be closed. Not doing these works would result in long term disruption as the embankment continues to be vulnerable to ground movements which would require unplanned emergency repair works. 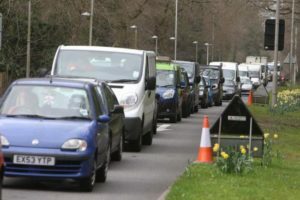 In order to increase the reliability of journey times on the route from the A31 to the Port of Poole and Poole Town Centre, we aim to improve traffic flow to reduce congestion around the junctions on Gravel Hill, including at Queen Anne Drive. This involves widening the carriageway, upgrading the signals to provide a toucan crossing (suitable for both pedestrians and cyclists) and introducing shared footway/cycleways around the junction. To ensure Magna Road, a key part of the diversion route, does not become blocked by vehicles waiting to turn right into Arrowsmith Road, temporary traffic signals will be installed at this junction. These temporary works and traffic signals will help reduce the impact of the Gravel Hill closure on residents and local businesses. If they are considered to be of benefit to the local community then they could possibly be retained. Following public engagement, a revised design for Dunyeats roundabout was approved at Transportation Advisory Group in March 2016 – see pdf on the right. It has minimal impact on traffic but will deliver significant safety improvements for pedestrians and cyclists. The design involves the introduction of toucan crossings – one at the end of Dunyeat’s Road and one on the north side of the roundabout on Gravel Hill. The roundabout will not be signalised but some work to the kerb lines will help improve access to and from the Crematorium. Addressing the safety and reliability of Gravel Hill also provides opportunities for improvements to be made for pedestrians and cyclists in the area too. We will be widening the existing footway from Queen Anne Drive to Dunyeat’s junction, making it a shared footway/cycleway to provide the missing cycle link connecting Merley to the town centre. Following public engagement we are continuing to work with the Council’s tree officer to reduce the number of ‘pinch points’ caused by trees on the proposed widened footway/cycleway. It is proposed to reduce the current speed limit between Queen Anne Drive and Arrowsmith Road from 60mph to 40mph. This should help increase safety for all road users and reduce the likelihood of long unexpected delays, as accidents on Gravel Hill cause major congestion in the Borough. In addition, this could have the added benefit of enhancing the existing surrounding woodland making it more pleasant for pedestrians and cyclists, while making the road feel less like an urbanised motorway. What about access, diversions and bus timetables? 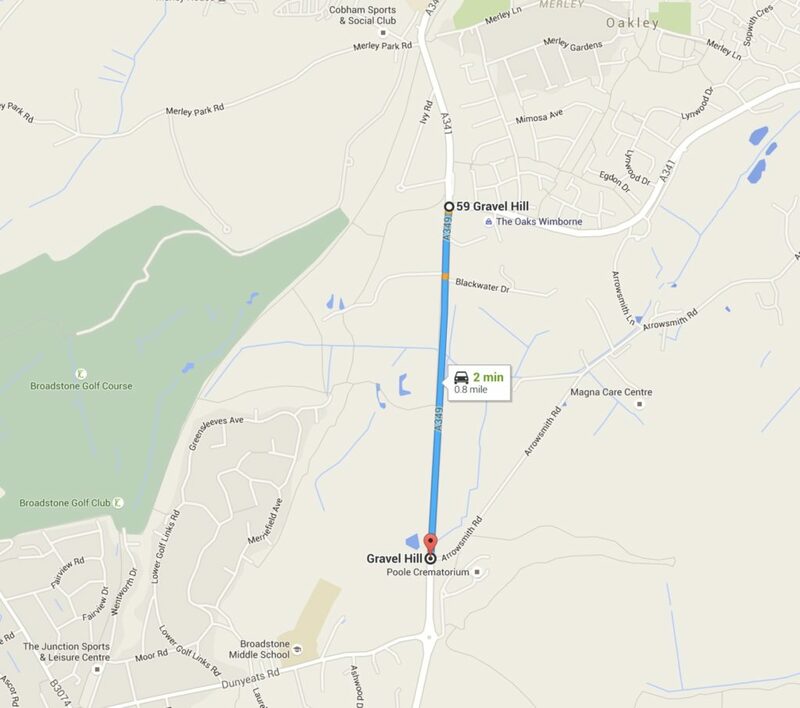 Gravel Hill, from Queen Anne Drive to Arrowsmith Road, will be closed entirely for the whole works period. Access for Gravel Hill residents, cyclists and pedestrians will be maintained throughout the closure. Arrowsmith Road will be open to local traffic (the existing 7.5 tonne weight limit restriction applies). A fully signed diversion route will be in place, directing traffic along Queen Anne Drive / Magna Road – A341 to Ringwood Road – A348. A temporary bus timetable will be operating throughout the works.